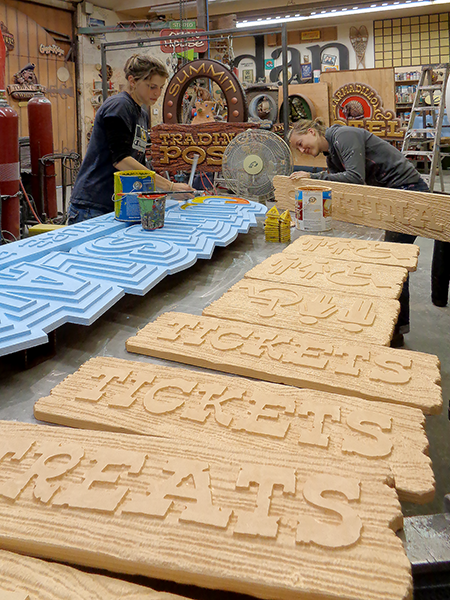 The rain poured down today making it the perfect day to do some painting on the many signs in production in the shop. The smaller and relatively flat dimensional signs got their first two coats of base colors today. One more coat and they will be ready for the glazes. 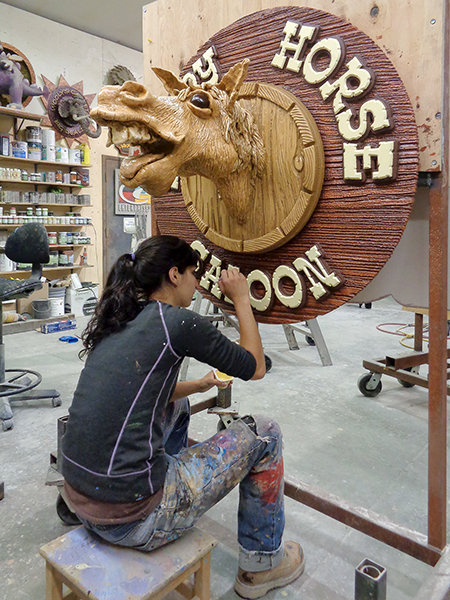 The Happy Horse Saloon sign received it’s final touches to make it ready for installation. The ladies also mixed sculpting epoxy for me to get a good start on the bear sculpt on the bike rental sign. 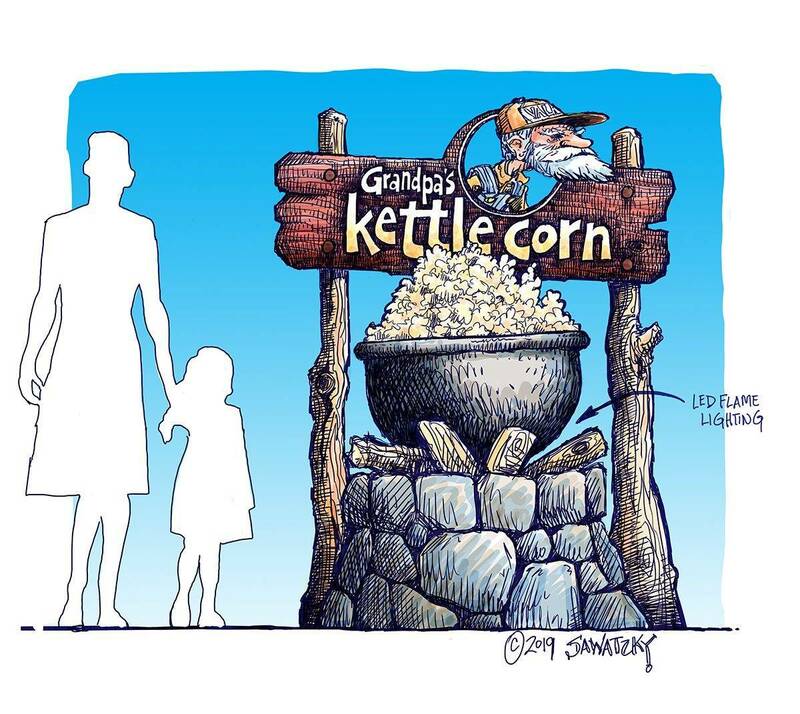 I’ve been looking forward to getting back to work on this project for quite some time. The project up at the lake is almost ready for all of the signs to be installed. They will be the icing on a very fancy cake without a doubt.